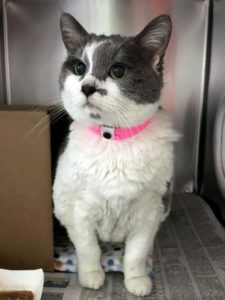 Possum – Female DSH 6 Years – Foreclosed Upon Pets, Inc.
Six year old Possum is a lover girl, just looking for a permanent home of her own. She was scheduled to go live out her life on the streets, until FUPI stepped in. She deserves the comfort of a warm and happy home. Her adopt fee is $80.00. She is friendly and outgoing. She is good with other cats!